Charter schools are the darling of the education reform movement. Appealing to the All-American ideal of “choice”, charter schools are sold to struggling communities as a way to improve student learning through competition. Well-funded public relations campaigns, underwritten by the Walton Foundation and other reform minded philanthropic organizations, work overtime to sell Americans on “choice.” Now rock stars, athletes and movie stars are getting in to the act, investing in and opening charters across the country. The education reformers have stolen the narrative from those who truly care about public education. At any cocktail party or at the sidelines of a soccer game you are likely to hear people discussing “failing schools” and “bad teachers” and how choice, especially in the form of charter schools is the way to insure a child gets a good education. But this is a false narrative. Research study after research study has shown that charter schools are no panacea, indeed they are simultaneously providing an inferior education, while draining public schools of needed resources. Even a cursory glance at what is happening in Philadelphia, Chicago and New Orleans will reveal the false promise of charter schools. The next time the topic comes up at a cocktail party you are attending, here are five things you can say in rebuttal to the charter cheerleaders. Cyber Charters (entirely online based) and Blended Learning Charters (a mix of online and in-person learning) have had a particularly poor record of educating children. This is hardly surprising given that learning is “socially constructed”, that is in interaction with actual human beings. 2. Draconian Discipline Policies – Charter schools have notoriously high suspension rates. The driving philosophy behind many charter school discipline policies seems to be “shame the students into submission.” Students are often disciplined for minor infractions of military like discipline codes. Compliance seems to be the driving motivation of the classroom management regime based on SLANT - Sit Up, Lean Forward, Ask Questions, Nod at the teacher, Track the teacher. Not bad advice, but minor infractions based on failure to SLANT often include demeaning punishments like being forced to wear a “yellow shirt” of shame, sitting at a desk separated from the rest of the class, sitting at a separate table in the cafeteria and writing an apology to classmates and delivering it in front of the class. Shame is also at the center of “data walls” displayed in busy hallways showing how students scored on standardized tests. The dramatic rise in charter school enrollments over the past decade is likely to create negative credit pressure on school districts in economically weak urban areas. While charter schools drain money from the public schools, the public districts struggle with costs that cannot be reduced simply because some students have left. The charter school laws are simply unfair economically to school districts. Add to this the high attrition rates in charters and the tendency of some charters to “skim” the most difficult to teach students, leaving the costly education of these children to the public schools and you have a recipe for financial ruin. 4. Lax Oversight – Charter schools lack the oversight that is built into public schools. Public schools are run by publicly elected school boards answerable to the parents and community members in that school district and which hold regular public meetings. They also get strict oversight through governmental regulations, are subject to regular audits and freedom of information laws. Charter schools are run by private boards who are not answerable to the community and hold private meetings. Often board members are not even members of the community. Charter schools often fight audits, claiming they are private entities. In this atmosphere corruption has been rampant. A recent report by Integrity in Education found $100 million in wasted public dollars through fraud and mismanagement in 14 states with charter schools. In Philadelphia, the CEO of the Academy Charter School has been charged with a fraud in the amount of 1 million dollars. Investigations of charter school fraud in other schools in the city are well underway. Let’s be clear about this, waste and fraud in the under regulated charter school industry is stealing resources that should be going to public school children. That missing million dollars could have purchased the services of a dozen school nurses for the Philadelphia School District where two children have died recently for the lack of a nurse in their schools. 5. Skimming Students – By definition public schools take on all comers. It is part of the responsibility of public schools to accept and educate students of widely varying backgrounds, languages, abilities and disabilities. Since charter schools are funded with public funds, most charter school laws call for charter schools to take on all students, too. Charter schools often accomplish this through a lottery system. But these under-regulated charters have many subtle and not so subtle ways to insure that they can shape their student population to make them look like they are doing better than public schools. Writing for the Teacher College Press, University of Colorado Professor, Kevin Welner, has discovered a dozen ways that charters shape their student populations. Here are some highlights. · Marketing that emphasizes “college prep” and “rigorous curriculum” will attract higher achieving students. · Marketing brochures that are only in English will discourage parents of English Language Learners from signing up. So you try these five arguments out on your friends and neighbors and they say, “Yeah, but the public schools are in such bad shape, we have to try something.” When you hear this simply ask each person to name a really good school district. Help them to discover that the districts they named are overwhelmingly in affluent areas. Next ask them to name a really poor school district. This time help them discover that the districts they named are overwhelmingly in low socio-economic areas. Now say to them if they really want to do something about education, they could begin by working to narrow the rampant income inequality in the country, the segregation of poor and minority children in urban centers, and the debilitating effects of poverty that cause children to struggle to learn. You won’t get invited to any more cocktail parties and people will avoid you on the soccer field, but you might have gotten a few people thinking beyond the education reformer rhetoric. A New Design for a Charter School? Hmm. We here at Russ on Reading are constantly on the lookout for educational innovation, so when we heard of the new charter franchise, The College and Career Ready Scholars Rigorously Pursuing Educational Excellence Academy Charter School and Dollar Store (CCRSRPEEACSDS) we had to look into how this school was going to meet the needs of our inner-city youth. At CCRSRPEEACSDS we prepare scholars to succeed in a world that is controlled by the 1%. Our scholars are taught to love learning or else. Our rigorous curriculum is designed to ensure that children learn to comply with the demands that their superiors place on them. Chief among these demands is performance on standardized tests. Students are encouraged to score well on tests through our innovative "data wall" in the main corridor which displays each student's test scores for all to see. On the same page we found the school motto: In Virtute Autem Implerentur Dies Multi (which can be loosely translated as "Shaming You into Excellence"). Our innovative design includes every student receiving on the job training in the Dollar Store which is co-located in the building (pending the removal of the pesky public school currently located there). In the Dollar Store, students spend three hours a day learning a skill that will prepare them for the world of low wage work. Students perform such jobs as door greeter, shelf stocker, cashier, and security guard. For their work at the store, students receive special Dollar Store dollars, which they can spend on school supplies and college pennants and tee shirts at the Dollar Store. Students at CCRSRPEEACSDS dress for success. The required uniform is a blue polo shirt and khaki pants. Through special arrangement with Ralph Lauren and Dockers, these items will be available in the attached Dollar Store. Students failing to wear the required uniform, or who fail to have their shirt tucked in, may be placed on the bench (see Discipline Policy). First Offense: Student is placed "on the bench." A student is identified as on the bench by being required to wear a day-glo yellow t-shirt (available at the Dollar Store) for one to three days as determined by the Chief Compliance Officer in the school. While "on the bench" the student will sit at a separate table in the cafeteria, a separated desk in the classroom and must write and orally deliver a letter of apology to classmates for interrupting their scholarly pursuits and write a 500 word essay on the theme, To SLANT or Not to SLANT That is the Question. Third offense: Back to public school for you. Having gleaned what we could from the web site, we called the CCRSRPEEACSDS CEO, Achieva Remarkowitz, to discuss her vision for this new charter. According to Remarkowitz, CCRSRPEEACSDS seeks to combine the best of both educational worlds. "Look we want all of our scholars to go to college and break out of the cycle of poverty, but we also need to be realistic. No amount of teaching like a champion, no amount of churn in our teaching staff, no amount of mining data to improve learning is going to prepare most of these kids for college. College is so darned expensive and these kids don't have the money. And with people like our Board of Directors hoarding it all, they are not likely to get that money soon. So, we have determined that while we aim at "college ready" we need to help our kids be "career ready" and that most likely means a low wage service industry or retail job. After all, somebody has to do the work that our Board of Director's children will refuse to do, right?" So, there you have it. A new and innovative design for charter schools. Will the innovation never stop? Education reformers love the concept of "creative disruption." Applying a business model to public education, they argue that the way to improve schools is through disrupting the system by closing under-performing schools, firing under-performing teachers and introducing competition for students in the form of charter schools and school vouchers. Only by disrupting the system and exposing it to market forces can we hope to improve teaching and learning, or so the reformer narrative goes. Let's set aside for a moment that all this "creative disruption" ignores the root cause for the struggles of public education - poverty. Leave aside also that the only way reformers seem to be able to identify "failing schools" and "failing teachers" is through standardized tests. Let's focus on the fatal flaw in the concept of "creative disruption." That fatal flaw is that disruption does not further student learning, indeed it interferes with learning on every level. Turmoil is anathema to learning. The turmoil created by closing public schools, high staff turnover (read TFA recruits), the opening and closing of charter schools will all only exacerbate the learning challenges of urban children. What we need is not creative disruption, but creative stability. Creative stability would focus on providing children with an adequately financed, well-resourced, professionally-staffed, local neighborhood school. Every teacher knows that children learn best in a stable environment. That is why teachers spend the first several days of school establishing routines and norms for the smooth functioning of the classroom. I like to think of it as setting the children up for success. Children are learning machines. The first job of the teacher then, is to establish rituals in the classroom that help the children get out of their own way to learn. I have finally realized that the most creative environments in our society are not the kaleidoscopic environments in which everything is always changing and complex.They are instead the predictable and consistent ones – the scholar’s library, the researcher’s laboratory, the artist’s studio. Each of these environments is deliberately kept predictable and simple because the work at hand is so unpredictable and complex. The creative work of learning is indeed complex. All of us establish routines that assist us in getting the creative work of the day done. The teacher establishes a classroom routine that allows the students to get their work done. Their work is creative and challenging - we call it learning. The stark contrast between creative disruption and creative stability is being played out at this moment in Newark, New Jersey. State appointed Superintendent Cami Anderson's One Newark plan, borrows directly from the education reformers' disruption playbook. This is not surprising. Anderson is a former leader of Teach for America and worked in uber-reformer Joel Klein's education office in New York City. She was handpicked by fellow reformer and former New Jersey Education Commissioner, Chris Cerf, to disrupt schools in Newark. One Newark calls for closing schools, turning other schools over to charter operators, forcing teachers to re-apply for jobs, and busing students around the city so that they can attend a school of their parents "choice." [T]he choice, based on arbitrary and capricious classification, to subject disproportionate shares of low income and minority children to substantial disruption to their schooling, shifting many to schools under private governance, may substantially alter the rights of these children, their parents and local taxpayers[emphasis mine]. 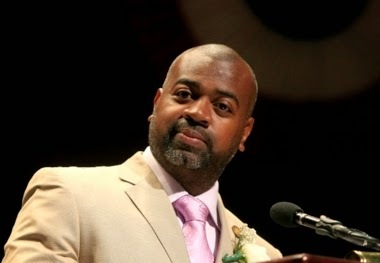 In part because of the unpopularity of the One Newark plan, Ras Baraka, a vocal opponent of the plan and also a Newark high school principal on leave from his job, was elected mayor in an election earlier this month. Baraka has endorsed a very different kind of plan for the Newark schools. This plan is called the Newark Promise and has been designed by a coalition of community groups and labor unions calling themselves The Coalition for Effective Newark Public Schools. This plan, as I read it, is an attempt at creative stability. The Newark Promise plan calls for a "comprehensive, multi-year strategy" that includes dealing with out of school factors that impact children's learning, improved facilities and tech structure, modernizing instructional materials, providing a comprehensive curriculum including arts and physical education, accountability through holistic measures of school quality, responsiveness to the community, and local political control. You can read about the full plan here. In other words, the Newark Promise plan is focused on stable, well-resourced, neighborhood public schools. We know that one reason children in the inner city have difficulty learning is the constant disruption that is a major consequence of living in poverty. To think, as the education reformers do, that further disrupting these children's lives is going to lead to better learning is foolhardy at best, and criminal at worst. Creative stability is not a call for the status quo in education. It is, rather, a call for the kind of creativity needed to solve complex problems. It is a plea to look beyond just the school, the classroom and the teacher in a search for solving learning problems. It is, finally, a call for the kind of incremental change that is likely to have lasting effects on schooling. Inner-city children, like all children, deserve a school, a classroom and a teacher that are focused on creative stability. In a stable neighborhood, school and classroom children can meet their true potential as learners. You gotta' admire those education reformers. Despite their almost total lack of experience in education and despite all the research and evidence that flies in the face of their bankrupt ideas, they cling to their ideology like a sloth to a low hanging vine. One area where I think they can come in for particular ridicule is teacher improvement. Basing their theories on the all encompassing business model, the education reformers have decided to motivate teachers through a system of threats and rewards. Threats come in the form of threatening teacher's jobs by measuring teacher performance through student scores on standardized tests and weakening job protections through attacks on tenure rights. The apparent guiding principle is that teachers will be motivated to improve instruction if they are held accountable for the knowledge their students show on a standardized test and if their jobs depend on the students' performance on these tests. This is the "fire your way to excellence" approach promoted by economist Erik Hanushek and uber-reformer Michelle Rhee. Rewards come in the form of merit pay. Again borrowing from that almighty business model that has stood the country in such good stead in the last decade (recession, housing crisis, "too big to fail") education reformers have determined that teachers will perform better if they get monetary rewards when their students do well - again as measured by standardized tests. Never mind that merit pay has never worked in schools. Never mind that study after study has shown that value added measuress (VAMs) of teacher effectiveness are fatally flawed. Never mind even that many forward looking businesses have recognized that collaboration, not competition, makes for an effective company. Never mind all of this. Education reformers cling to the idea of teacher improvement through merit pay. Maybe, just maybe, if the education reformers could park their ideology for a while and roam the halls of schools and watch and listen to teachers, they might learn something about what motivates teachers. If they did this for a week, they would find they were on the wrong track. Here is what I have discovered motivates teachers to excel in my 45 years of wandering those school hallways. If we really want to improve teaching and learning and if our real agenda is improving teacher motivation, here are some good places to start. Nothing can motivate a teacher to be well-prepared and perform at peak ability more than the simple fact their will be 25 or so faces looking at you in the morning, waiting for you to teach them. When students have a moment of insight, teachers feel empowered. When a student is struggling to understand, the teacher is motivated to find a way to get through. I worked with struggling readers. Progress was often slow and laborious, but when a struggling student learned a new strategy or read a passage that would have been too difficult the week before, the feeling of empowerment and motivation was indescribable. I wanted to find more answers; I wanted to continue the teaching. At the end of the year, I always got enough thanks or smiles to keep me motivated for the next year. Here's a study that shows that the student is the number one motivator for teachers. How can that motivation be measured by a VAM? How do you put a price on it? Teaching is intrinsically rewarding. For those of us who chose to go into the profession, teaching is fun. It is energizing. I have had many times in my life when I didn't feel particularly well or when I was tired and then I began to teach and I felt better, more energized. I can teach myself awake and I have seen many other teachers who do the same thing. Teaching is a rewarding profession. Most teachers went into the profession to touch the lives of children. Teaching gives the socially conscious individual daily feedback that they are making a difference in the world and shaping the future. While a reasonable living wage is certainly important to every teacher, in my experience in hiring teachers, I have found them to be more interested in the working conditions they will find in the school where they will work. What working conditions matter? Reasonable class sizes. Adequate resources to do the job. Adequate planning time. A clean building in good repair. Supportive administrators. Suportive and engaged parents. Friendly and supportive colleagues. When I interviewed candidates for a teaching position, I found the very best candidates were also interviewing me. What was their number one concern? Working conditions. Teachers are motivated to work hard and well in a school that provides them with a pleasant and productive working environment. When I was president of my local teaching association, most of the concerns that came to me had to do with working conditions, not salary or disciplinary issues. Education reformers would be better off spending their money to control class size and repair dilapidated buildings as a way to motivate teachers, rather than spending untold millions on standardized tests and discredited measures of teacher effectiveness. Daniel Pink, in his book, Drive:The Surprising Truth about What Motivates Us, identifies autonomy as a major motivating factor. Teachers need the license to respond to the teaching situation in front of them. While good teaching is guided by good curriculum, and yes, even good standards, good teaching demands that a variety of instructional choices be made by the teacher, sometimes on the fly, often after reflection. Teaching and learning is a dynamic that cannot be driven by rigid curriculum demands. Teachers will be motivated when they have the freedom to improvise within the confines of a curriculum in order to best meet the needs of the students sitting in front of them at that moment in time. It is the essence of professionalism to not just be allowed to use your professional judgement, but to be expected to use that judgement and to be valued because you can and do use that judgement. Bill Gates loves to say that teachers want and need feedback. He is right about that. He is also very wrong about the kind of feedback that motivates teachers. Feedback from standardized tests will not motivate teachers. It is too distant from the actual learning situation; it is not timely (often this feedback comes after the school year is over) and it is not clear what actions a teacher could take that would improve student performance on this learning abstraction. Teachers get actionable feedback everyday. They get this feedback by watching students in the act of learning. Teachers know who has understood the concept and who has failed to understand the concept by watching students. For more formal feedback, the teacher designs a criterion referenced test to see who has grasped the concepts and who has not and then adjusts instruction accordingly. I have found teachers are also open to actionable feedback when it is offered by supervisors in an observation setting. It is important that their be a level of trust between teacher and supervisor for the feedback to be accepted. It is also important that the supervisor provides feedback that is useful and doable. When the feedback is far removed from the learning environment, as is the case with standardized tests, their can be little motivation for the teacher to use the imformation. When the results of the standardized tests are also being used to hold the teacher accountable, we can expect either resistance from the teacher or narrowing of instruction to focus on what is rewarded on the test. Every school is, of course, a little society. If the school is a healthy society, teachers will work well together for the benefit of the children. Experienced teachers will help new teachers; teachers who share a struggling student will work together to find ways to help the child learn; teachers will borrow good instructional ideas from each other. In many schools this professional collegial interaction is formalized in professional learning communities, where teachers together tackle knotty instructional problems. Interestingly, there is every reason to believe that reformy schemes like merit pay will undermine the collegial nature of schools. In merit pay there will be winners and losers. If teachers are competing for a pot of gold at the end of the standardized testing rainbow, they are not likely to be willing to share with colleagues. It is reasonable to project that merit pay will create a toxic school environment where teachers close their doors to their colleagues and hoard their good instructional ideas. Like their students, good teachers are always learning. Professional development that is relevant and that teachers can see will have a positive impact on their students' learning is motivating for teachers. While teachers are often known to gripe about professional development that is not relevant, or time wasting, when teachers are involved in the design of the professional development, their buy in and motivation are increased. So there you go education reformers. If you are serious about improving teaching, find a way to use your vast resources to improve teacher working conditions, collegiality and autonomy. Motivating teachers is complex, challenging and ultimately very doable. What you will get with accountability by test scores and merit pay is at best a compliance that works against your goals and at worst open rebellion against all that you stand for. Better yet, just get out of the way and let the professionals get to work. I assure you they are well-motivated to do so. I have just had a remarkable experience. I, along with a small group of Shakespeare enthusiasts, just completed a run of performances of William Shakespeare's Measure for Measure. Shakespeare's draw is truly remarkable. We came together, 11 people, strangers really, 10 actors and one director, dedicating ourselves to performing the Bard's words for several small, but appreciative audiences. And a motley crew we were indeed. All of us had day jobs. Some of us were young professional actors looking to build a resume, others were amateurs looking for a chance to scratch our Shakespearean itch, one had never acted before and one was returning to acting after a long hiatus. What made us do it? Not money certainly. There was no money to be made from this venture. It cost us all more than we could probably afford in transportation costs and late night meals. If I could sum up the feelings of the cast members as to why we endured the long nights of rehearsal, the foul weather, the damp church basement, the overflowing toilets, the lack of a stage manager and the communal dressing room, in three words, they would be, "It's Shakespeare, dammit!" And it seems Shakespeare rewards the effort put forth. Because I love Shakespeare, and because I am a teacher, I am constantly wondering how to get my students to love Shakespeare, too. The truth is, most students don't love Shakespeare. Even with my college students, the mere mention of Shakespeare is sure to elicit groans. Shakespeare is difficult. The language is poetic and often arcane. But it is also beautiful and relevant. Shakespeare matters. That is why he lives on today. How do we teach it so that it matters to young people? One thing that performing Shakespeare has taught me is that the best way to understand Shakespeare's words is to memorize those words and then try to speak them to an audience in a way that communicates their meaning. Shakespeare's works are, after all, plays. As such they are meant to be performed, not read. If we center our instruction of Shakespeare around performance and not around reading we are more likely to get engagement and comprehension. Approaching Shakespeare from this performance perspective suggests a model for instruction as follows. Provide students with the background necessary to understand what is happening in the play. It is important to emphasize that, while Shakespeare's plays were set in many foreign lands, the commentary in the play was always aimed at Shakespeare's native England and at social and political forces in England. In the case of Measure for Measure, students should learn that the play is about the tension between strict laws related to human morality and the natural human desires that often run athwart these laws. The issue of legislating morality is as relevant today as it was in Shakespeare's time, of course, and the character of Angelo, self-righteous advocate for all that is pure, but fatally flawed himself, might as well be ripped from today's headlines. Once this is understood, each of the key characters should be introduced to the students in relation to the roles they play in explicating this rumination on the state, the law and morality. So we have the Duke as benign and ineffective ruler, Angelo as rigid martinet enforcing morality laws, Claudio as the transgressor to be punished by hanging and Isabella, Claudio's sister caught on the horns of a moral dilemma. As always, Shakespeare supplements the main story with comic relief in the form of the low-life's Lucio, Pompey, Mistress Overdone and Elbow, who provide comic commentary on the futility of trying to legislate morality. As an actor performing Shakespeare, the first thing I did as I began to learn my part was to paraphrase each of my speeches. I wanted to put into contemporary language what I was being asked to communicate in Shakespearean language. I think this would be a worthy exercise for the student to help them engage with the language of the play. As a teacher, I would choose key speeches from the play I was teaching and assign each student a different one to paraphrase. Here is an example from Measure for Measure, where Claudio ruminates on what it will mean to die. Paraphrase: Yes, but to die is to go into the unknown and to go from warmth and feeling to being nothing but a compacted clod of earth, while my spirit is subjected to floods of fire or layers of ice or besieged by invisible winds blowing me violently and sending me off howling. All this is too horrible to contemplate. The worst of worldly life, becoming old, being poor, being imprisoned, is a paradise compared to what scares us about death. In this step, students take the passage they have been studying and commit it to memory. The passage is then presented to the class. The student attempts to present the passage to the student audience in such a way that they can make sense of it. The presenter receives feedback from the audience in the form of their restating what they understood from the presentation. The presenter can also clarify any confusions that the students might have. One obvious variation to the presentation of a single speech, would be to have two or more students prepare a brief scene from the play, again with the focus being on communicating the meaning. Many good DVD versions of Shakespeare's plays are available. Of course their are the movie versions of Henry V, Hamlet, Much Ado About Nothing that are readily available, but the BBC television series of all the plays gives the best sense of the plays in a stage-like performance. Since a play is meant to be seen and heard and not read, I would supplement the student performances of parts of the text, with the viewing of the performance on the DVD. A video presentation can be treated just like a text, viewing a small portion and then summarizing what was viewed and discussing how the scene fits into the overall plot of the play and what recurring themes are present. Of course, nothing could replace actually seeing a production of the play. The first professional play I ever saw was a production of The Merchant of Venice at the McCarter Theater in Princeton, NJ. It made a powerful impression on a 14 year-old boy. My love of Shakespeare began that day on that stage and not from the pages of the book the teacher had made us read. Shakespeare's plays were created to be performed. In fact they existed on the stage before they ever existed on the page. By emphasizing the performance aspect of the plays, and by de-emphasizing the reading of the plays, we may find it easier to invite students into the world of Shakespeare. And by memorizing and performing a small chunk of Shakespeare, students may find themselves reaching beyond a dull comprehension to a richer textual understanding. Shakespeare wrote plays. Students should be encouraged to play with them.